Today started out really good with being able to sleep in for a coupe extra hours which was really nice. The first task for the day was to get the Harley prepped for its winter siesta. Some minor task like getting the battery ready for removal so I could keep it trickle charged over the winter. I got my trailer loaded on the truck and loaded it up. An hour later I had it safely tucked away at our work hangar and covered for protection. 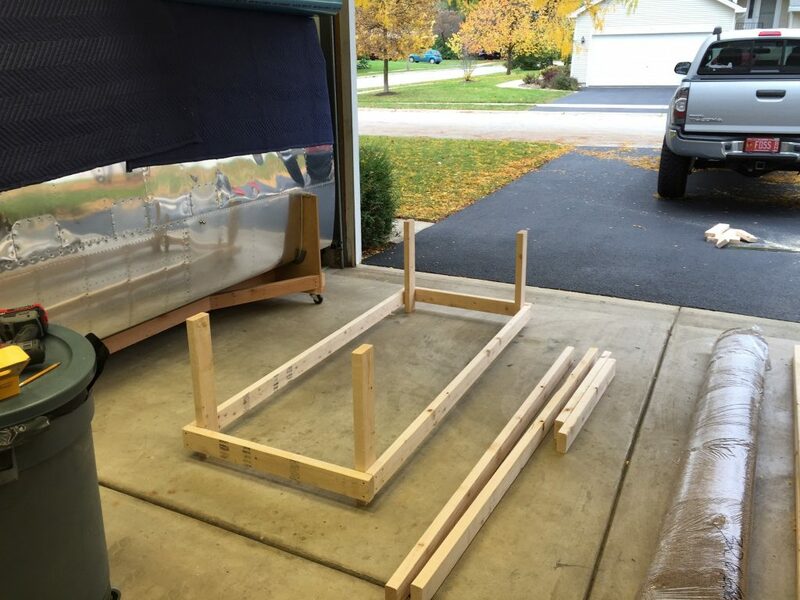 When I got back home and in the Hangar my goal was to design and build the new workbench for the fuselage. 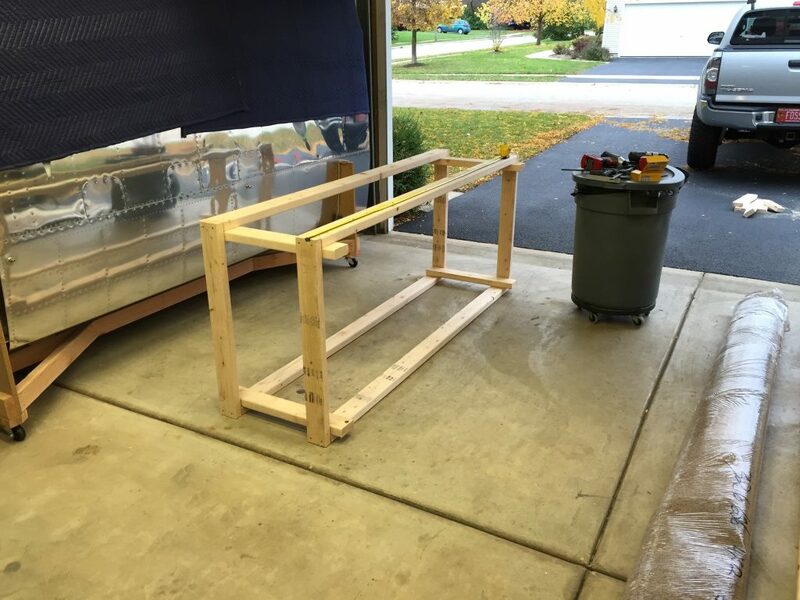 After several drawings and measurements I decided on 24″ high, 36″ wide and 7′ long. So off I went on the build. I put a 3/4″ plywood top on it along with some cheap carpet I got on clearance at Home Depot. Now how to get the fuselage from the higher table to the lower one. 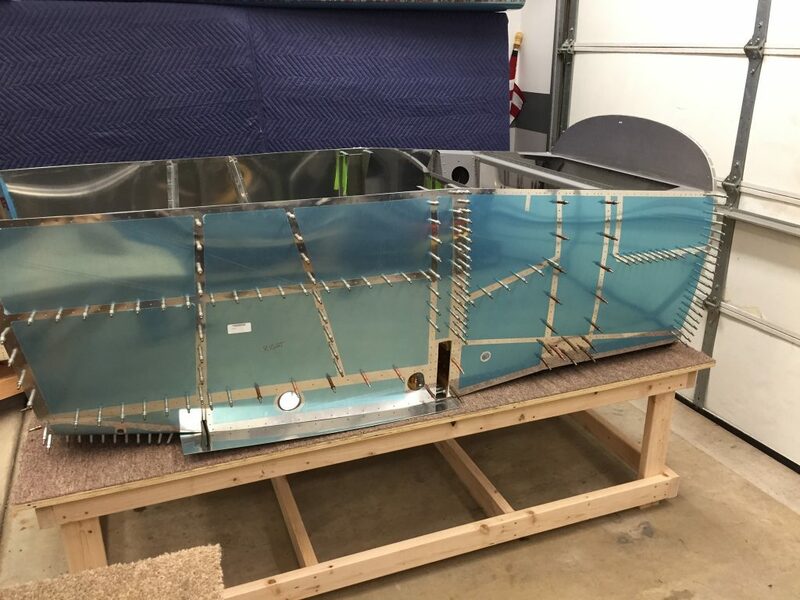 I figured on a way to slide the fuselage forward after lining up the two tables. All went well until the last 5″ of the slide. 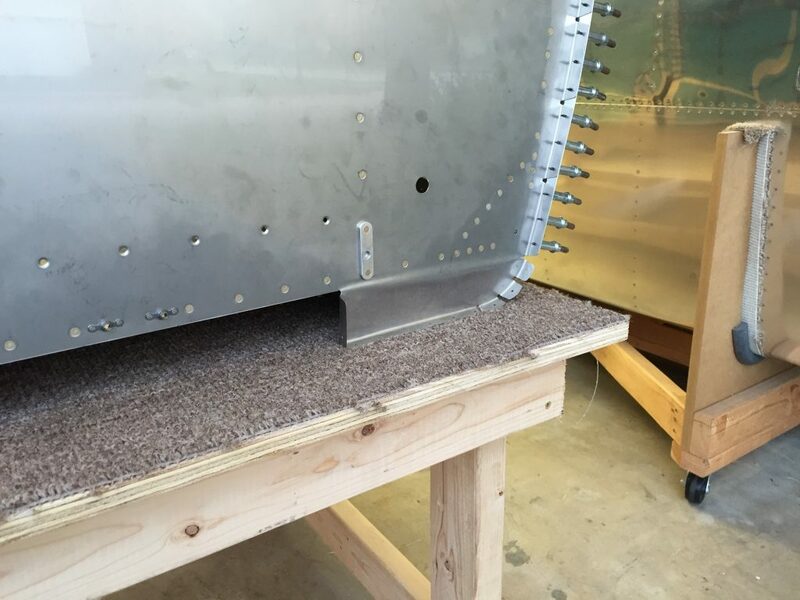 I had the fuselage on the new bench and all was well except I wanted to slide if forward 5 more inches. That’s where I really screwed up. 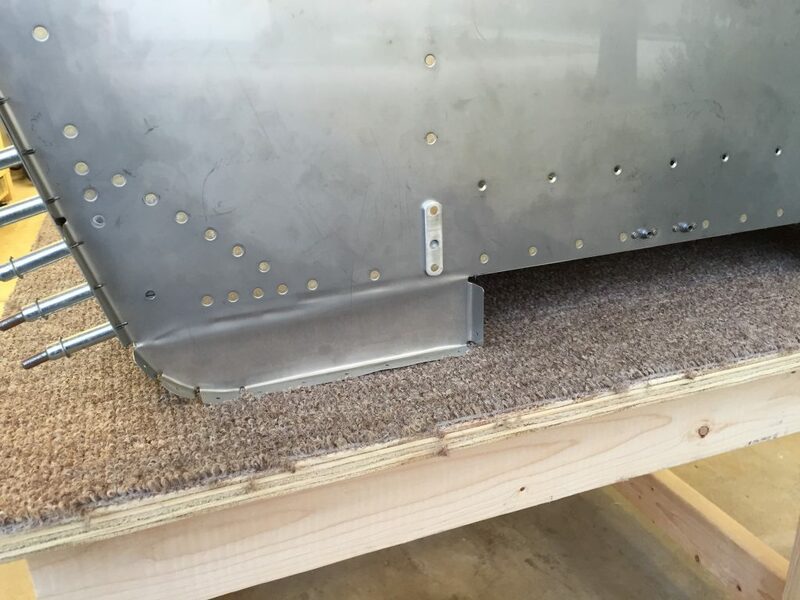 While pushing from the back the lower two tabs of the firewall caught on the carpet and bent aft as I slid forward. I noticed this after walking around to check if I slid it forward enough. Ugh! I sighed and worked to bend them back to their normal position. Wow those look bad! No cracks but look bad. I texted my friend and expressed how stupid I was. He said they look bad and the best course of action might be to replace the firewall. I knew that was the answer I would get. I’m so deflated right now. That job will be a big one as all the previous work would have to be undone and new parts ordered. So lots of time and money will be needed to fix this 5″ and 5 second error. I’m hoping that maybe its can just be a cosmetic error and be able to leave it as is. Right now I feel like shelving this build! How could I make a simple stupid mistake so easy? I’m not sure but I did and now I will have to figure a way out. So here it sits until I figure it out.